Although born of humble beginnings, Greater Ebenezer Baptist Church has been lifting Wacoans up in worship for over a century. The church now known as Greater Ebenezer Baptist began as Oak Street Baptist Church in East Waco in 1915, when Rev. J. S. A. Trowser organized a church of eleven members at a little house at 117 Oak Street, right next to an Elm Street cotton gin where several members worked. The Oak Street Baptist Church grew and by 1918, was able to pay Trowser a salary of $17.50 a week. 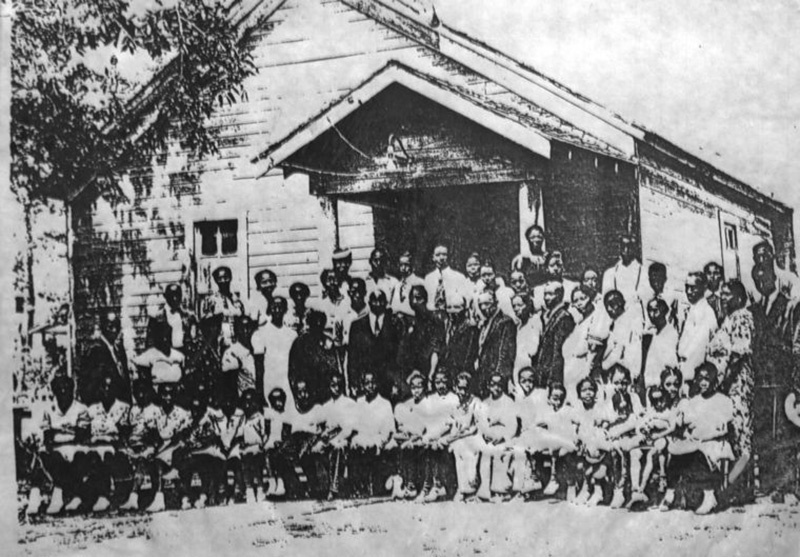 In 1924, the church was renamed Ebenezer Baptist Church as it moved to Dutton Street and began growing one lot at a time as the congregation could afford. Around 1940, Trowser passed the pulpit to the Rev. J. E. Deckard, who served seven years. Since then, seven other pastors have led the church. Before the construction of I-35, Dutton Avenue served as the main drag and the mostly unpaved streets around it were packed with small houses and corner stores. 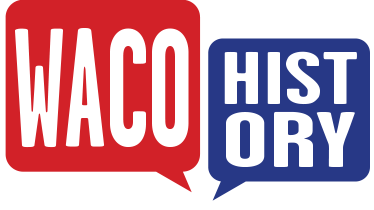 Families would walk to church from the South Waco neighborhood, joining others who had walked from farther reaches of Waco or even country towns such as Downsville. Dressed in their Sunday best, they would settle in for an entire day of singing, preaching, and fellowship. Many congregants still remember every corner of that old wood-frame church building, which was built in 1924, substantially renovated in 1940, and wrapped in brick in 1969. Notable for its red windows—bought at a time when stained glass was too expensive for a working-class congregation—it was razed to make way for the new million-dollar building, complete with stained glass. The church’s current pastor, Rev. Kerry Burkley, a Truett Seminary graduate who also is program director of the Waco Children’s Advocacy Center, is the son of a Central Texas minister. He remembers coming to Greater Ebenezer when his father was a guest preacher there and sensing the history and community of the church. He said the church maintains a strong sense of community despite the decline of the adjacent neighborhood. Congregants saw a superhighway built at their doorstep in the 1960s, and later the orange stakes on the front lawn marking I-35’s expansion area. Much of the land around the church increasingly became owned by developers. In recent years, the church has turned away inquiries from real estate buyers interested in new construction on the corner. J. 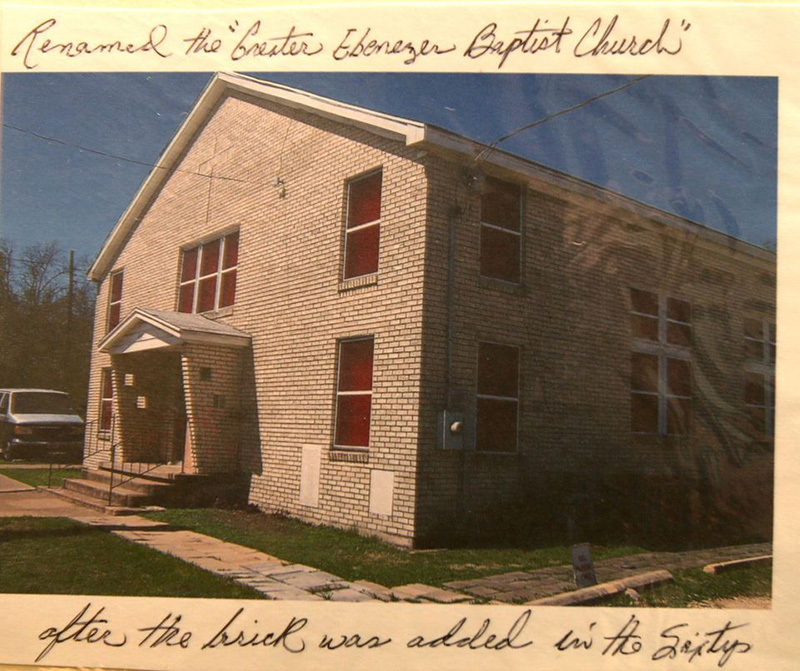 B. Smith, “Greater Ebenezer Baptist Church,” Waco History, accessed April 18, 2019, https://wacohistory.org/items/show/116. A version of this article originally appeared in the Waco-Tribune Herald.Smith, J. B. 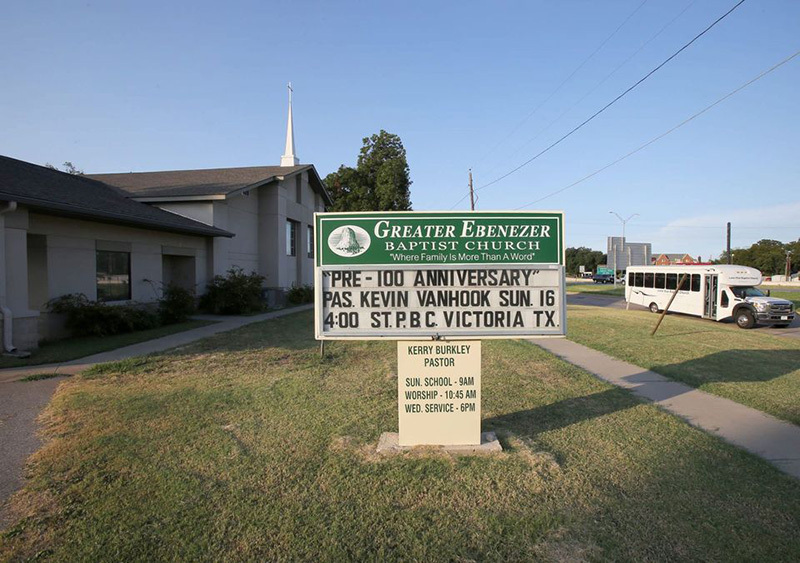 “Century-Old Greater Ebenezer Baptist Stands Firm as South Waco Neighborhood Vanishes.” Waco Tribune-Herald. August 22, 2015.